St. Mary's Church had organized a day of adoration for its parishioners on 11 th April, 2019. This adoration was arranged for us to pray for the success of the Chrism Mass. Catholic children from all classes were asked to attend the Adoration from 6.45- 7.45 a.m., which was our slot. At this adoration children prayed, sang and recited a decade of the Rosary. There were periods of silent prayers during this hour. The children were escorted back to school with their teachers to begin their normal school for the day. 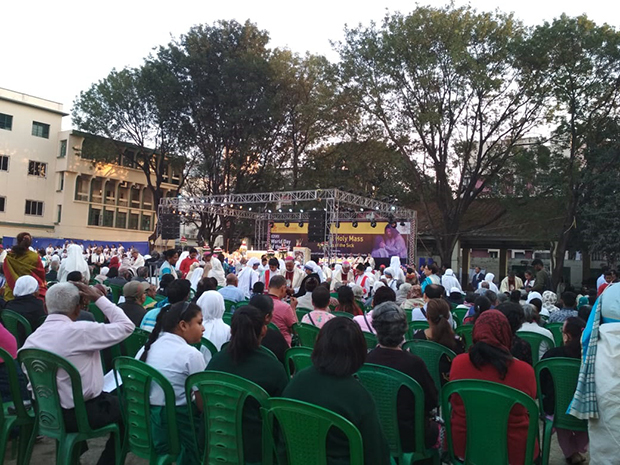 The XXVII World Day of the Sick, was solemnly celebrated on 10th February 2019 in Kolkata this year at St. Xavier's College grounds. The Pontifical Holy Mass where the anointing of the sick took place was celebrated by Cardinal Patrick D'Rozario, Archbishop of Dhaka who was appointed as envoy to Kolkata by Pope Francis. Cardinals and Bishops from all over the world were in attendance. The theme was, “You received without payment; give without payment” (Mt 10:8). During the Mass , a special Anointing of the Sick took place. The Mass was attended by all Catholic teachers and students from class III upwards from Loreto Elliot road as well as from other schools, colleges, and parishes. The Catholic girls from class 7-12 had attended the Corpus Christi procession on Sunday 22nd November 2015. This day marks d feast of Christ d king and it is d last ordinary Sunday of the year as it brings in d festive season of advent. During the procession we see so many people from different schools and parishes walking for the same reason. The procession starts from St. Xavier's college and ends at the same. It’s wonderful to see so many of our Catholic brothers’ and sisters walking together in procession. It was a wonderful experience and it was amazing to be a part of this celebration. I would like to thank all the Catholic teachers for accompanying us. The Catholic Get-Together was held in the Junior School Hall on 31st October 2015 from 5:30 pm to 6:30 pm. The invitees were the Catholic ex students of batches 2013, 2014 and 2015 and the hosts were the catholic girls of class 12. The evening began with a short prayer service based on the readings from Holy Bible “I can the true vine”. After a short coffee break, a game Make my Mission was conducted by the hosts. After this invigorating game, an interactive session between the ex students and the present class 12 batch inspired all present. The invitee’s words of advice to our students were “work hard and success will come to you”. The evening came to an end with our Principal Sr. Nirmala speaking on career guidance she enlightened the girls on the plus points of taking up teaching as a career. The vote of thanks was given by Mrs. S.Govindraj Senior school coordinator. She specifically thanked the organizers Mrs. P.Quadra and Mrs. S.Gomes for making the event a successful one. 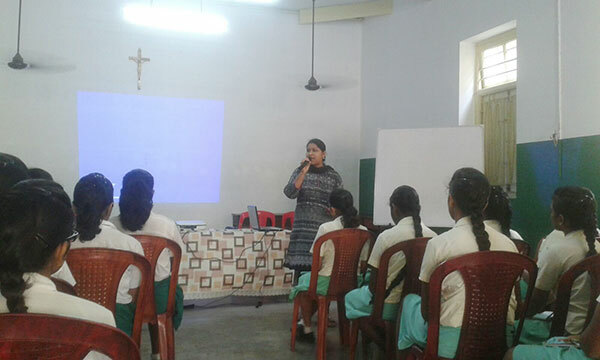 On 2nd October, 2015 the Catholic girls of classes ten and twelve attended a retreat organized by the school and conducted by the Jesus Youth. The theme was ‘‘God’s Love’’. The retreat began with a short prayer then an ice breaking session was conducted. The girls were engaged in various activities like action songs, skits, and input sessions. At 3’o clock, adoration was conducted by the Jesus Youth for over an hour followed by the Mass. 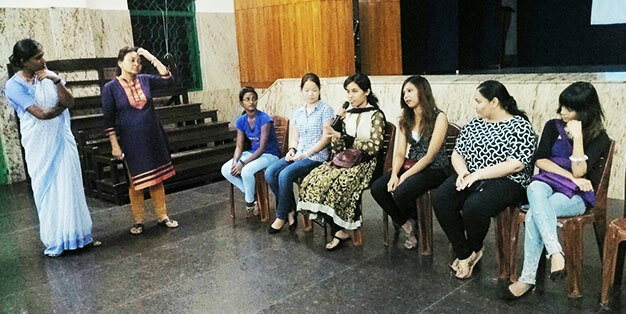 On 25th August’ 15 , the Anglo Indian girls put up a small programme and celebrated the Anglo – Indian Day which was on the 2nd August. We started with a poem written by one of the girls followed by introduction, a prayer and the news. This was followed by an entertainment session which included two powerpoint presentations followed by a short skit. We then ended a programme with a bang with a dance programme and a medley of famous Anglo – Indian Songs. We brought the programme to a close with the Anglo Indian way of Vande Mataram.